How To Stay On Target! Do you ever feel off course? I know I do—and I don’t like that. I don’t want you getting discouraged by some little bump that causes you to break stride momentarily from your goals and new habits. That’s why I shot this video for you. 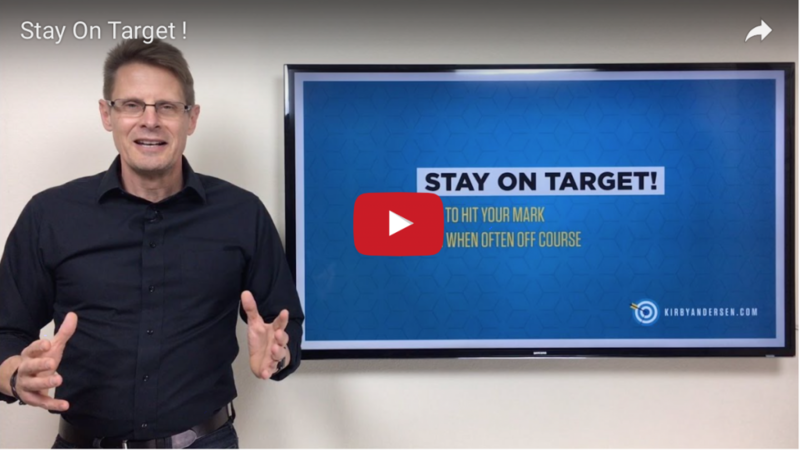 It’s all about staying on target—hitting your mark every time even though you may often feel off course. Why it’s important to be specific in identifying your target. How regular checkpoints to evaluate progress can make the difference between just a good start and finishing strong. Why the tortoise won the race—not the hare. Click here to enjoy the video and the accompanying blog post. Make it a good week. And STAY ON TARGET!